African Changemakers welcomes donors and patron members to support African Changemakers through their kind donations, as it will play an important role in making it possible for us to conduct many programs and activities throughout the year and years to come. African Changemakers matter now more than ever to empower and change African youth, women, girls and men mindsets, skillsets and toolsets across communities as they learn, unlearn and re-learn to compete on the global stage. Your support matters — now more than ever too, your donation will make a difference in all African Changemakers programs and services to the African people, to continue supporting all who want to develop their human capacity skills, leadership, innovative & entrepreneurial ingenuity skills, their communities’ overall development. Your donation gift below will give the opportunity to make a significant impact in empowering more African youth, women, girls and men across the Africa continent. Join the growing community of people who believe African Changemakers is crucial to an informed and empowered African people. Your donation will support the work we do, the programs you trust, and the events you enjoy. Encourage others to give by mentioning your support or sharing our donation page to your circle of friends and network. You have the power! 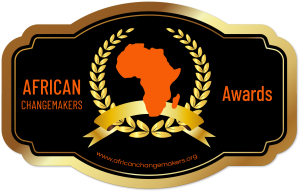 To help spread African Changemakers programs and activities through your kind donation for more African Changemakers members beneficiary, more informed Africans.